In 2014, Yacht Club Games released its very first game, Shovel Knight, a joyful 2D platformer that wears its NES influences on its sleeve. This unlikely pastiche of 8-bit inspirations manages to emulate the look, feel, and even the technical limitations of nostalgic titles like Mega Man, Zelda II, and Castlevania III—imbued with a contemporary sense of humor and self-awareness. But how is a fundamentally retro game created in the modern era? And what do the games of the past have to teach today's game designers? Based on extensive original interviews with the Yacht Club Games team, writer David L. Craddock unearths the story of a fledgling group of game developers who worked so well together at WayForward Games that they decided to start their own studio. From the high highs of Shovel Knight's groundbreaking Kickstarter to the low lows of its unexpectedly lengthy development, Boss Fight presents a new master class in how a great game gets made. Get ready to steel your shovel and dig into this fascinating oral history. 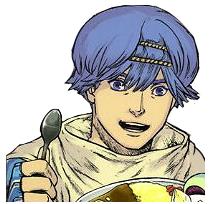 For Shovelry! David L. Craddock lives with his wife and business partner in Ohio. He is the author of Stay Awhile and Listen, a three-part series that chronicles the history of World of WarCraft developer Blizzard Entertainment and Diablo/Diablo II developer Blizzard North; Break Out: How the Apple II Launched the PC Gaming Revolution by Schiffer Publishing; and HERITAGE, a young adult fantasy novel. Connect with David on Twitter or Facebook. You can tell it&apos;s Shovel Knight because of the tiny plain black words against a white background that says "Shovel Knight" on it. The complete lack of color is a nice touch, really reminds me of the game, as does the 600 B.C. warrior helmet picture they bought off Shutterstock. I love Shovel Knight. A book on it&apos;s development sounds wonderful but I&apos;d never buy this based on the cover alone. This is a book about a game featuring a whale-apple hybrid that sings to you. I&apos;m not sure how this cover is supposed to represent that in the slightest. Quit with these hideous art house covers and get with the spirit of the medium you&apos;re writing about, dude. They did the same thing to Mega Man, leading me to think Boss Fight Books struggles with the concept that they write for gamers rather than pretentious star bucks baristas convinced that their hobby isn&apos;t "fine art" until it&apos;s something their great grandparents would pick up and read. Gaming has it&apos;s own unique identity, especially Shovel Knight. That&apos;s all been thrown away and replaced with nothing of value. 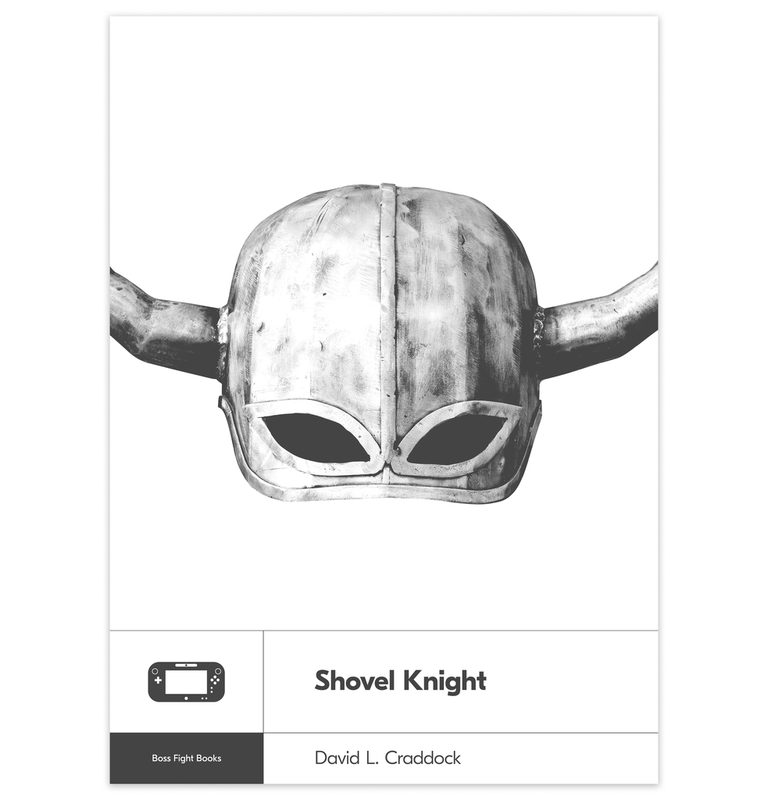 What was so wrong with Shovel Knight that despite writing an entire book about it you won&apos;t put it on your cover? This reminds me of when Square Enix was parading around a horrible Florence and the Machine cover song in Final Fantasy XV and saying nothing of the game&apos;s actual composer who worked on it for ten years. Square was hiding their actual content, and their actual talent, to appeal to people who don&apos;t play. Sorry for the negativity, this sort of thing just really gets under my skin. You write about video games. That&apos;s not a demeaning statement. Video games are amazing for being exactly what they are so quit pretending this is something that it&apos;s not, because what it is is nothing that needs to be hidden behind some avant-garde book cover. That&apos;s a lot of words that can simply be rebutted by "You shouldn&apos;t judge a book by its cover." I get what you&apos;re saying, but I don&apos;t agree btw. The cover is not even remotely avant-garde. My reaction to the cover was "neat." I love video games, but when I read books about them, I prefer they don&apos;t look like they&apos;d fit in next to a copy of a Dr. Seuss book. But this is pointless to discuss. The cover doesn&apos;t *really* matter, what matters is the content underneath. I don&apos;t think I love Shovel Knight enough to read this book unless it came highly recommended. I just wish there could be another video game book as good as Masters of Doom was. I&apos;d go with "Deflected" over "Rebutted". I&apos;ve never agreed with "Don&apos;t judge a book by its cover". I knew that phrase was on its way and I didn&apos;t much care. It&apos;s a phrase spouted out right alongside "There&apos;s nothing more important than a first impression" and that one&apos;s accurate to how life goes. Presentation matters. People can pretend it doesn&apos;t with a snappy little Aesop moral, but it does. Appearances send a message. I prefer something more to the effect of "People will judge a book by its cover, so the cover needs to portray the content accurately". The content could be solid but the cover keeps me from ever knowing. I admit up front that this could be unfair but that&apos;s how it goes. It&apos;s the same reaction gamers had when Bioshock Infinite and Doom put out "moody man with shotgun glares at you" covers that didn&apos;t represent the game, throwing away what made them special and going with what more people will look at. ICO is another great example. It&apos;s in everyone&apos;s best interest that your cover not betray what the content is actually all about. The fact is Shovel Knight does look like it belongs next to a Dr. Seuss book. There&apos;s absolutely nothing wrong with that. This group chose this game to write about then at the finish line they show everyone that they&apos;re too embarrassed by it to associate with it. That makes no sense to me. Even then there are ways to present the game the way they like if the&apos;re so embarrassed by color, like a pencil sketch of the character for instance. That&apos;s me, anyhow. Why the little Wii U gamepad though ? God I&apos;ve got to make time to replay some Wii U. I love that console. Otherwise, anyone who knows Shovel Knight would either think this has nothing to do with it or, best case scenario is intended as some sort of joke. I may be wrong, but I think the Wii U was the original target console the game was developed for.